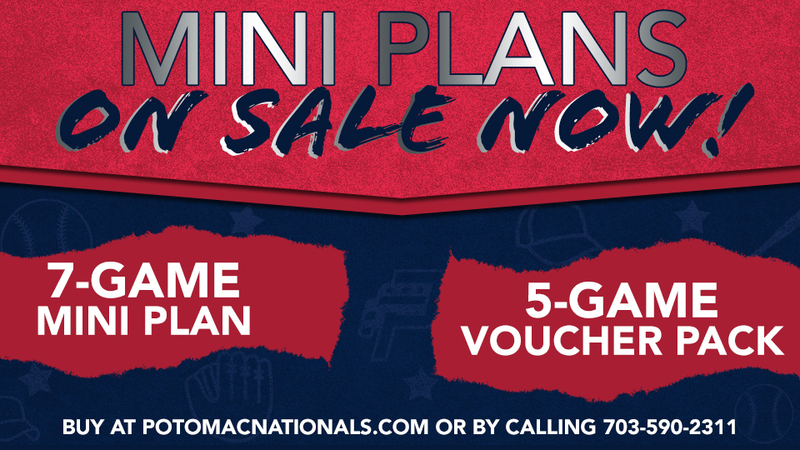 2019 Potomac Nationals' Mini Plans Now on Sale! Woodbridge, VA---Following up the release of the 2019 Potomac Nationals' promotional schedule on Thursday, the team is excited to follow up with two mini plan ticket packages for the upcoming season. In addition to the previously announced "voucher pack" plan, the P-Nats will offer a seven-game mini plan for the 2019 campaign.